Jomtien Beach Condominium building A3 floor 13, on Jomtien Beach Road. 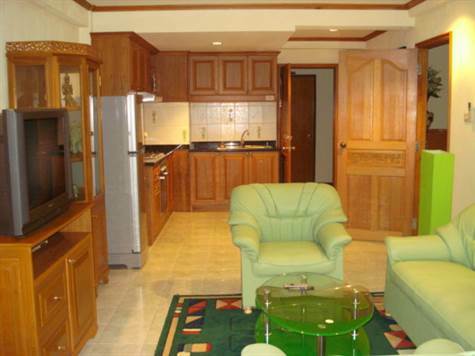 1 bedroom, 1 bathroom, lounge with fully-equipped European kitchen, 2 balconies with sea view. 2 air cons, 2 ceiling fans, 2 TV’s, DVD player, Wi-Fi Internet. Maintenance 600 Baht per month. For sale at 2.5 million or rent at 22,000 Baht per month. Foreign ownership. Our reference JTC1067.